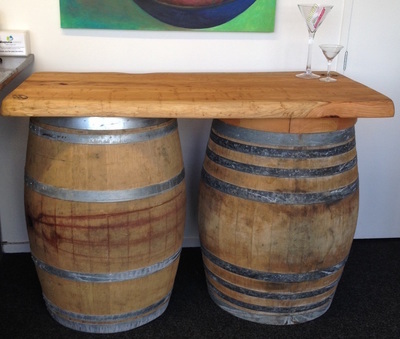 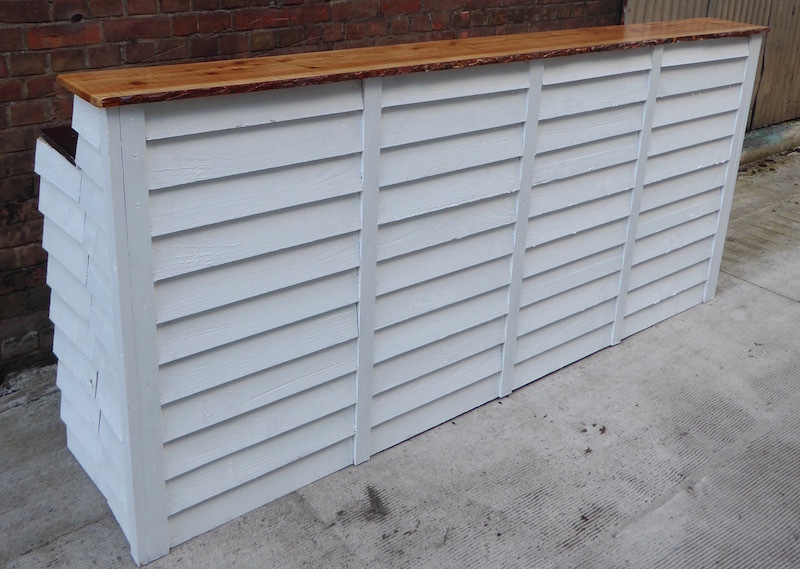 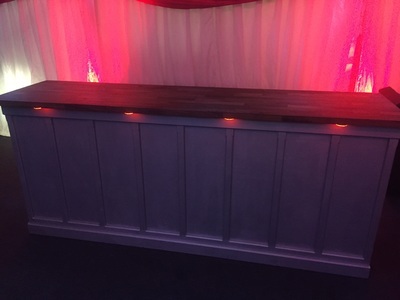 A proper bar is recommended because they provide an extra feature and trestle tables alone are too low for bar use. 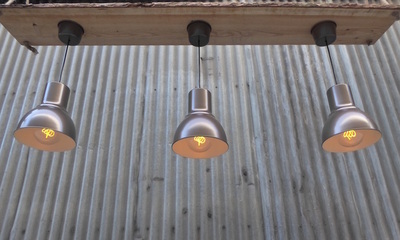 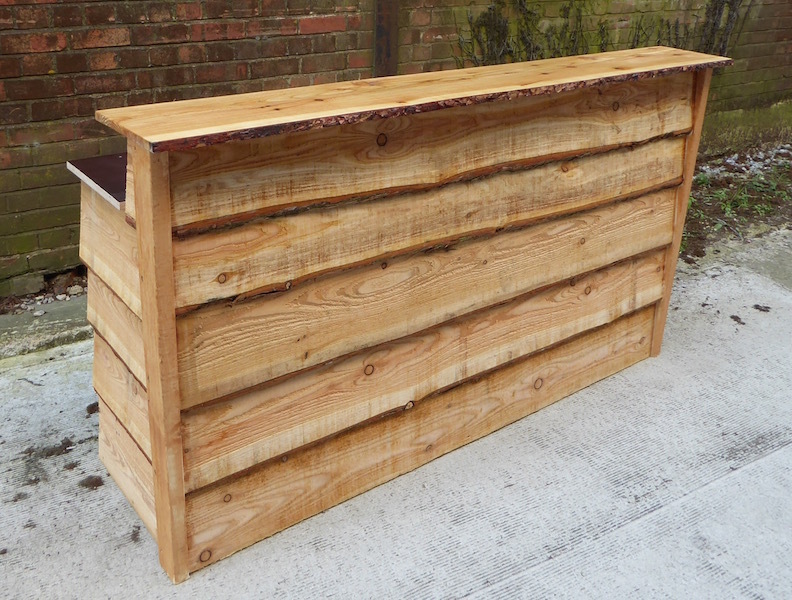 We currently offer seven different styles of bar, all of which possess their own unique charm from rustic to chic to funky. 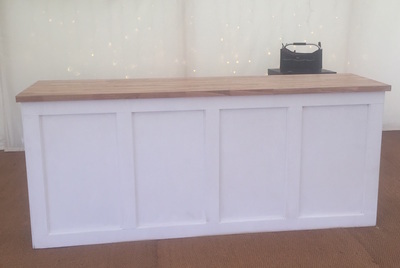 The bestseller is the classic white base with solid oak counter. 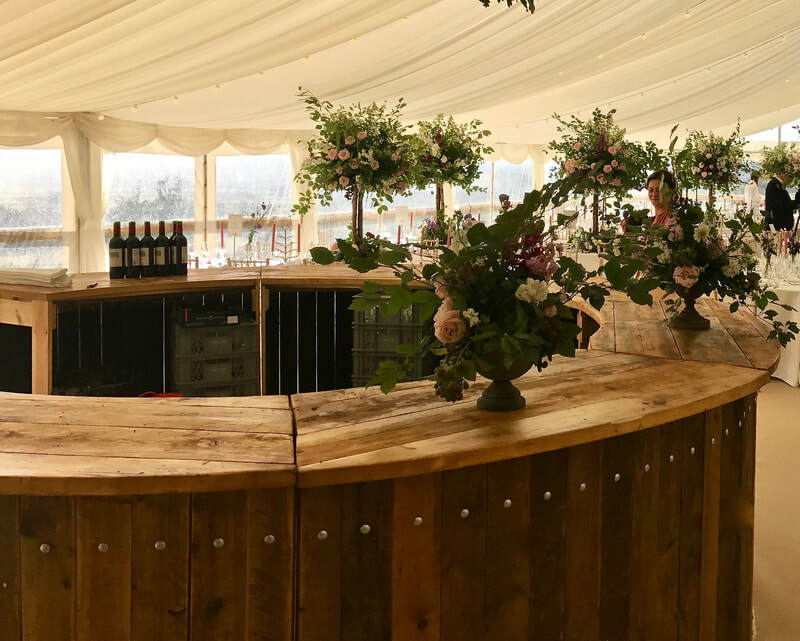 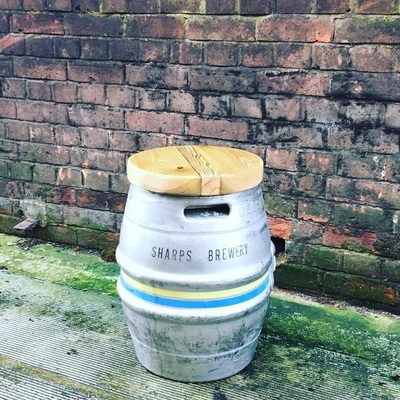 Our cider barrel bar is rustic yet attractive and ideally suited to country and tipi weddings and our modular illuminated bars illuminate in any colour at the point of a remote control. 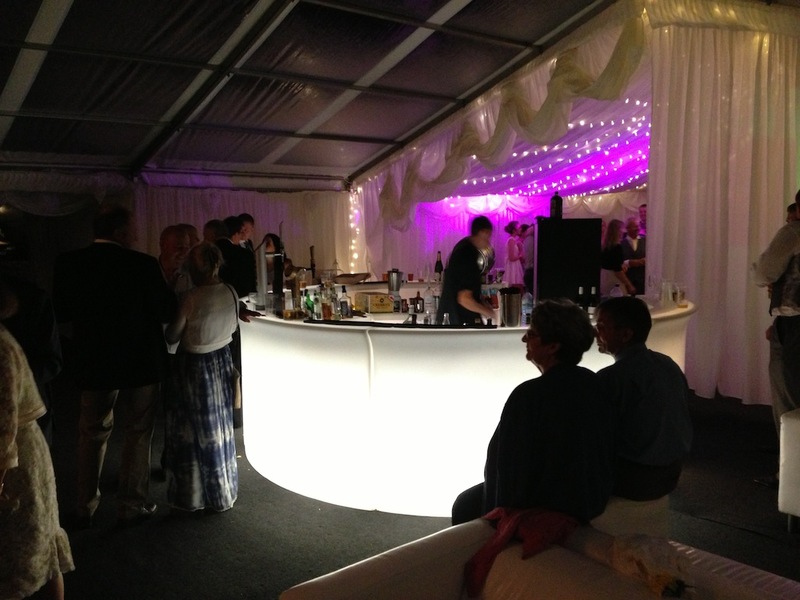 Our illuminated curved bars can be made into a full circle and our plank and illuminated straight bars into a full square. 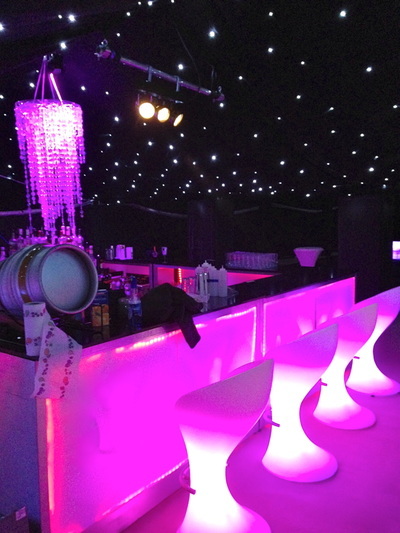 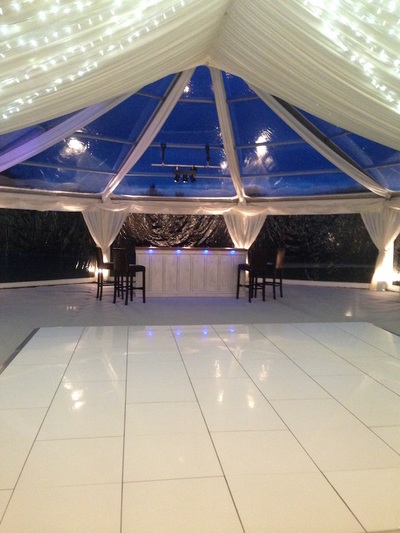 We believe that bars are an underrated feature in many marquees. They are usually one of the main focal points and guests certainly spend a reasonable amount of time there over the course of the event. 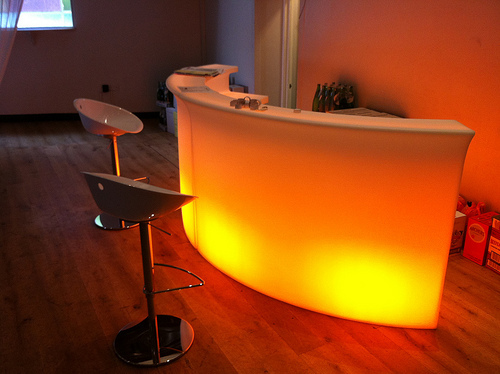 Our range includes back bars, lighting, stools, fridges and draft systems.